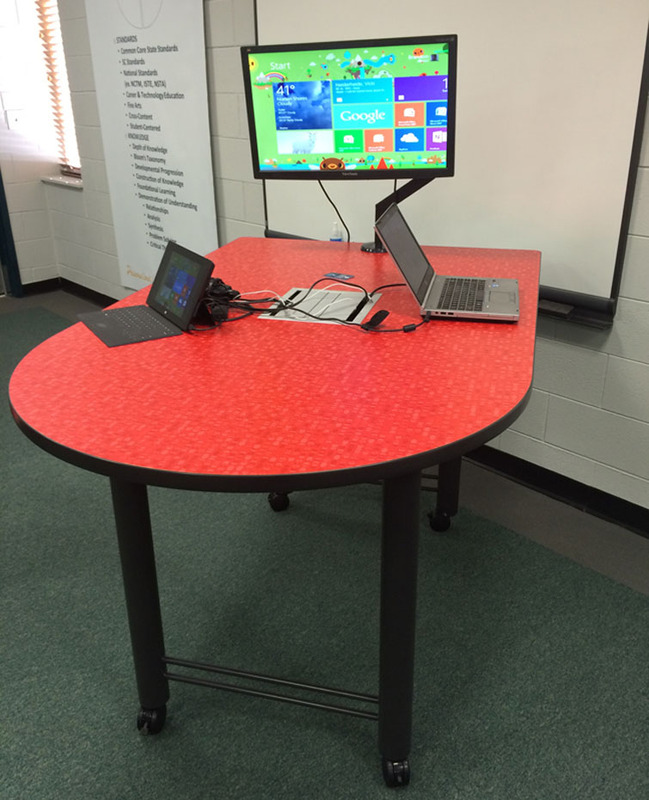 Collaboration and technology are constant in both today’s workplaces and schools. Use this media-sharing center to bring together different skill sets on projects and enhance small group learning. 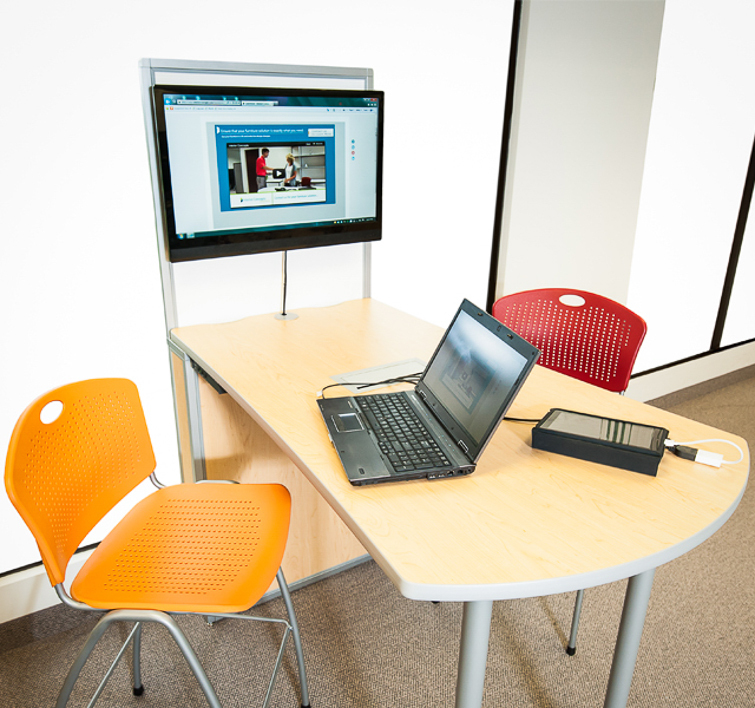 Team members can share multiple devices on one screen and students can embrace long-distance learning. 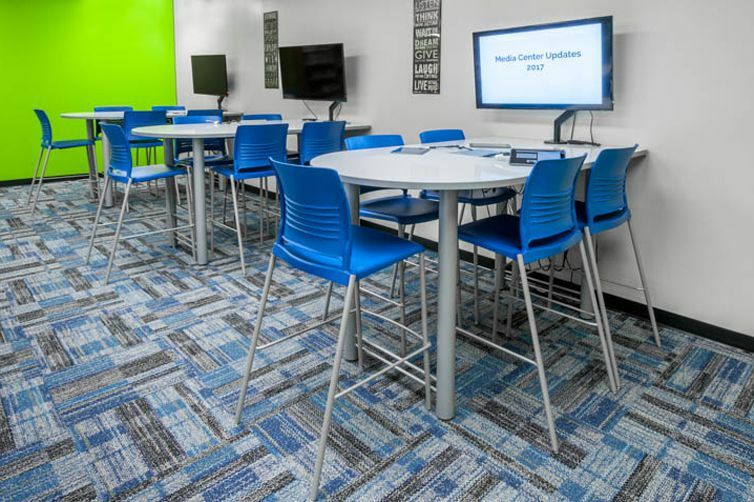 With a small footprint and the integrated technology connectivity, these centers are critical tools for having people work together with today’s laptops and tablets. Interior Concepts media sharing solution is unique because you are not locked into one table or office furniture design. 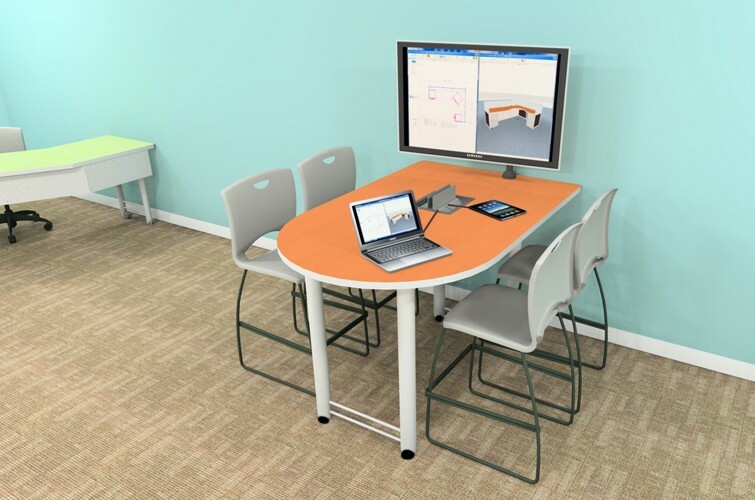 We will work with you to design the furniture around the technology to best suit your needs.